An exciting partnership between a Wrexham-based charity and Coleg Cambria has helped provide invaluable experience to learners. 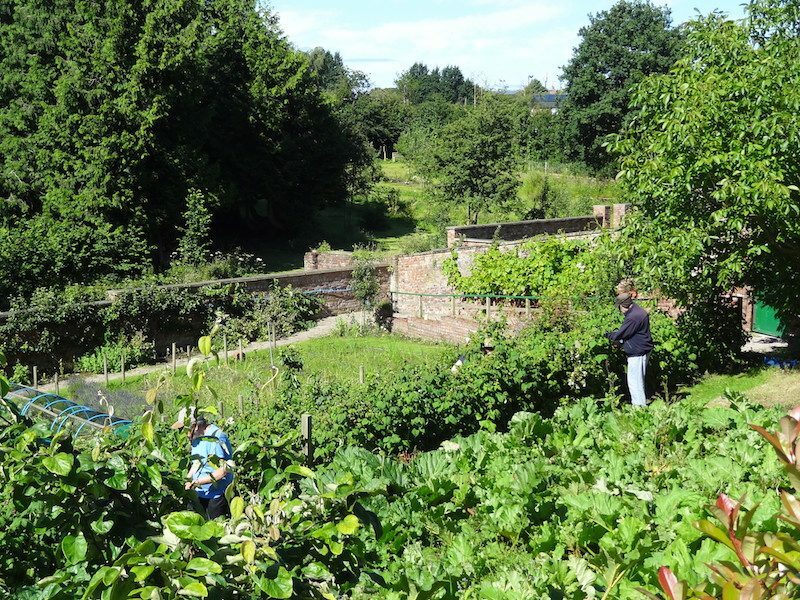 Erlas Victorian Walled Garden has worked in collaboration with Independent Learning Skills (ILS) students at the college for four years to weekly visits and real life work experience. The Victorian walled garden, which is located on Bryn Estyn Road in Wrexham, is both a charity and a place that promotes the health and development of people with learning disabilities, and others, by providing meaningful daytime activity, education and work experience in a garden business environment. During their visits over the past four years, numerous students have been given the opportunity to do some gardening that included planting, cultivating, weeding and pruning. Coleg Cambria Tutor, Louisa Moroney-Edwards, who’s been supporting the students during their weekly visits to the gardens said: “It’s been an invaluable experience for the ILS students to visit the gardens on a weekly basis and help within the grounds. Construction and Building Services learners have also been visiting the gardens to gain real-life experience at building raised beds and maintaining the gardens. The opportunity has allowed learners to use and display skills such as bricklaying learnt in college whilst also being a valuable contribution to the gardens. “The Bricklaying students who have been working on the project at Erlas have gained invaluable work experience for a worthwhile cause that will give many years of pleasure and achievement to those who will benefit from their hard work and commitment” added Lee Davies, Bricklaying Lecturer at Coleg Cambria Bersham Road. Ann Morton, Charity Officer at Erlas Victorian Walled Garden added: “Watching young people from the Independent Learning Skills Department at Coleg Cambria grow and develop in the time they have spent learning about gardening, their environment and team working has been inspirational. “The Bricklaying students have also gained workplace skills here, and we are so grateful for their work over the past year, as they have built ninelarge raised flower beds, which will enable many disadvantaged people to participate in healthy outdoor gardening activities over the coming years.